Fall Creek's just-about-to-launch BrazelBerries™ Collection was featured on American Nurseryman's online edition (12.8.2011). BrazelBerries™ will make its debut at the MANTS tradeshow in Baltimore January 11-13, 2012. 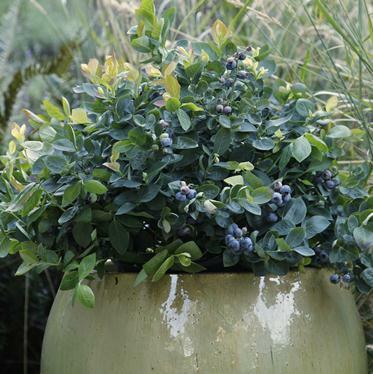 The plants in BrazelBerries™ Collection are very special small ornamental fruit shrubs that offer extraordinary plant beauty and delicious fruit. These specialty plants are the result of decades of research by the Brazelton family and their team including experts from their own breeding program and their partner breeding programs. The first plants in the collection include two ornamental blueberries and a thornless, dwarf raspberry. BrazelBerries™ will be sold through an established network of wholesale growers to independent garden centers. The first limited quantities of BrazelBerries™ will be available in 2013 in finished size, branded No. 2 gallon containers or larger. For more information about this new collection, visit the BrazelBerries™ website.